Actually, we’d like to thank our clients. All of them. Recently, Cayenne was recognized at the Birmingham American Advertising Federation Awards (a.k.a. ADDYs) for a number of pieces of work. 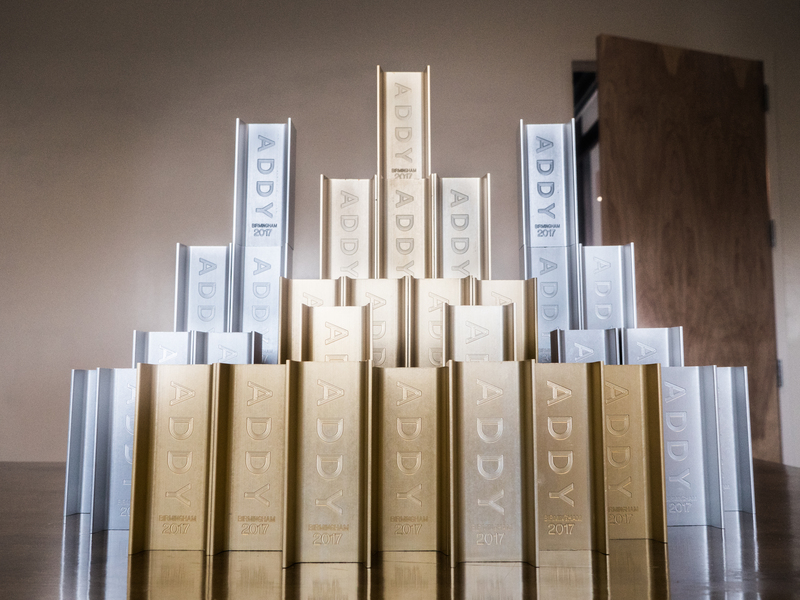 We received handsome gold addys for our work for Hoar Construction, Brookmont Realty, MedSnap, and even for our own self-promotion. We received shiny silver addys for our work for Harris Doyle Homes; and we even received a “Special Judges’ Award” (no, it was not a leg lamp) for our work for The Cahaba River Society and Alabama Engine. Our Design Director was recognized as Designer of the Year. Our writer was similarly recognized. It goes without saying that bringing home enough gilded I-beams to build a Bailey Bridge makes for one FABULOUS evening! But, here’s the deal: we are able to do smart, well-crafted work that wins awards because we have clients who want smart, well-crafted work. All of them. And for that, we say thank you, thank you, a million times over, thank you.